Welcome to our Altoona Childcare Center! Hello! Welcome to The Little School House. We provide quality childcare services for Altoona and Eau Claire, WI. We offer childcare for infants, toddlers, 2 yr. olds, 3 yr. olds, 4K, and before school & after school care up to 12 years old. We have a variety of childcare programs available for different age groups. Daycare for infants, toddlers, and 4K school. We have a fully qualified staff to provide the best child care in Altoona & Eau Claire. Visit our center today an meet our staff! We also have a 4K program available!. 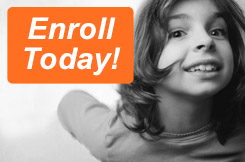 Contact us today with questions about our pre-school 4K program for your child. We have brought all three of our children to the Little School House and could not be happier with the care they have received! Our oldest child was one of the first to attend when they opened. We were so impressed and were so excited to send our other two children there as well. All of the staff are so special and most importantly, our children are so happy going there every day!